In this May 20, 2015, file photo, a Fukushima evacuee in her thirties is living in Tokyo with her two children. Her husband chose to stay in Fukushima for work. TOKYO – With Japan keen to flaunt Tokyo 2020 as the “Reconstruction Olympics”, people who fled the Fukushima nuclear disaster are being urged to return home but not everyone is eager to go. Tokyo and the International Olympic Committee (IOC) plan to use the global spotlight from the Games to showcase the recovery of the region devastated by the 2011 nuclear disaster and the tsunami that triggered it, killing 18,000 people. But Kazuko Nihei, who fled her home in Fukushima city with her two daughters in 2011, insists she won’t return, even though government subsidies she once received have now ended. “I’m not wavering at all,” she told AFP in Tokyo, where she relocated with her daughters, now 11 and nine, after the disaster. Japan ordered more than 140,000 people to evacuate when the Fukushima Daiichi reactors went into meltdown, but many others living outside the evacuation zones also opted to leave, including Nihei. Her husband and in-laws stayed in Fukushima city, and living apart has come with emotional and financial costs. “I have to work with every ounce of energy,” said Nihei, who works seven days a week to help keep the family afloat. For six years, she and her daughters lived in free accommodation supported by government subsidies, but support for “voluntary” evacuees ended in March 2017. She moved and now struggles to pay the 130,000 yen monthly rent. But she insists she is not ready to return to Fukushima city, despite government assurances the area is safe. Japan’s government has pressed an aggressive decontamination program involving removing radioactive topsoil and cleaning affected areas, and evacuation orders have been lifted across much of the region affected by the meltdown. But the program has not swayed everyone, with a poll conducted in February by the Asahi Shimbun daily and Fukushima local broadcaster KFB finding that 60 percent of Fukushima region residents still felt anxious about radiation. “If there was a comprehensive annual health check, I might consider it, but what they are offering now is not enough, it only concentrates on thyroid cancer,” she told AFP. Part of the doubt stems from Japan’s decision in the wake of the disaster to alter its own standards for what it considers acceptable levels of radiation exposure. It changed the level from 1 millisievert (mSv) a year to 20 and says that level of exposure carries far lower cancer risks than smoking or obesity and “can be comparable to the stress from evacuation”. The International Commission on Radiological Protection sets a maximum dose of 1 mSv/year in normal situations and a range of 1-20 mSv/year in post-accident situations, though it has urged Japan’s government to choose a target at the lower end of that range. Despite the uncertainty, Fukushima prefecture plans to end almost all housing subsidies by the end of March 2021, with a goal of having no evacuees by the time — a target some fear will have disastrous results. FUKUSHIMA — The government of Fukushima Prefecture in northeastern Japan has announced it will terminate in March 2020 the provision of free temporary housing to most of the evacuees from areas in four towns and villages rendered difficult to live in due to fallout from the 2011 triple core meltdowns at the Tokyo Electric Power Co.’s Fukushima No. 1 Nuclear Power Plant. It was the first time to set a deadline to end housing support for evacuees from those “difficult to return” areas. The new measure, announced on Aug. 27, will stop the provision of all rent-free temporary housing from dwellings in the towns of Okuma and Futaba where the nuclear plant is located. The termination of the support program will affect a total of 3,298 households who had to move out of difficult to return areas in the villages of Katsurao and Iitate, as well as the towns of Tomioka and Namie. The measure will cover both temporary prefabricated housing as well as private rental accommodation paid for by the prefecture. The prefectural government explained that the financial support is being phased out as it is now possible for those residents to find stable homes on their own, among other reasons. Meanwhile, the prefecture will conduct an opinion poll on some 1,661 households from Okuma and Futaba to determine whether to continue to offer free housing for them after March 2020. The free temporary housing service will end in March next year for evacuees of 2,389 households from five municipalities including the village of Kawauchi and the town of Kawamata, where evacuation orders have been lifted, but the service can be extended for another year for people with special circumstances. Evacuation orders prompted by the 2011 nuclear disaster targeted 11 municipalities although they were eventually lifted for nine cities, towns and villages by April 2017 except Futaba and Okuma as well as difficult to return zones in some of the municipalities. This file photo taken in April 2017 shows temporary housing in the city of Nihonmatsu in central Fukushima Prefecture in northeastern Japan for evacuees from the 2011 disaster at the Tokyo Electric Power Co.’s Fukushima No. 1 Nuclear Power Plant. The legal team for evacuees of the 2011 Fukushima nuclear disaster hold signs stating partial victory at the Kyoto District Court on March 15. KYOTO–The district court here ordered the government and the operator of the Fukushima No. 1 nuclear plant on March 15 to pay a combined 110 million yen ($1 million) to 110 evacuees who fled voluntarily after the 2011 nuclear disaster. TOKYO (AFP)-A Japanese court on Thursday ordered the government to pay one million dollars in new damages over the 2011 Fukushima nuclear disaster, ruling it should have predicted and avoided the meltdown. The Kyoto district court ordered the government and power plant operator Tokyo Electric Power Co (TEPCO) to pay 110 million yen in damages to 110 local residents who had to leave the Fukushima region, a court official and local media said. Thursday’s verdict was the third time the government has been ruled liable for the meltdown in eastern Japan, the world’s most serious nuclear accident since Chernobyl in 1986. In October, a court in Fukushima city ruled that both the government and TEPCO were responsible, following a similar ruling in March in the eastern city of Maebashi. However, another court, in Chiba near Tokyo, ruled in September that only the operator was liable. On Thursday, presiding judge Nobuyoshi Asami ordered that 110 plaintiffs who saw their lives ruined and their property destroyed by the disaster be awarded compensation, Jiji Press and other media reported. Contacted by AFP, a court spokesman confirmed the reports, adding that the ruling denied damages to several dozen additional plaintiffs. “That damages for 64 people were not recognised was unexpected and regrettable,” a lawyer for the plaintiffs said, adding that they would appeal, according to public broadcaster NHK. Around 12,000 people who fled after the disaster due to radiation fears have filed various lawsuits against the government and TEPCO. Cases have revolved around whether the government and TEPCO, both of whom are responsible for disaster prevention measures, could have foreseen the scale of the tsunami and subsequent meltdown. Dozens of class-action lawsuits have been filed seeking compensation from the government. In June, former TEPCO executives went on trial in the only criminal case in connection with the disaster. Triggered by a 9.1-magnitude earthquake, the tsunami overwhelmed reactor cooling systems, sending three into meltdown and sending radiation over a large area. Niigata (Jiji Press)–Nearly 40 pct of evacuees from nuclear accident-hit Fukushima Prefecture to Niigata Prefecture have no plans to return to Fukushima, a Niigata government survey has shown. According to the survey, 39.7 pct of respondents, including those who initially came to Niigata but moved out of the central Japan prefecture later, do not plan to return to Fukushima, home to Tokyo Electric Power Company Holdings Inc.’s crippled Fukushima No. 1 nuclear power plant. Including respondents unable to decide as yet whether or not to return, the proportion of evacuees who are not eager to go back home reached some 70 pct. As reasons, worries about residual radiation’s health effects were cited by 60.6 pct, followed by concerns about children’s future and difficulties in finding jobs. The survey results illustrate how it is difficult to rebuild people’s lives in nuclear disaster-hit areas, pundits said. Mitsuko Sonoda’s aunt harvesting rice in her village, which is outside the mandatory evacuation zone, before the disaster. A nuclear evacuee from Fukushima will claim Japan’s government has violated the human rights of people who fled their homes after the 2011 nuclear disaster, in testimony before the UN in Geneva this week. Mitsuko Sonoda, who voluntarily left her village with her husband and their 10-year-old son days after three reactors at the Fukushima Daiichi nuclear power plant went into meltdown, will tell the UN human rights council that evacuees face financial hardship and are being forced to return to neighbourhoods they believe are still unsafe almost seven years after the disaster. “We feel abandoned by the Japanese government and society,” Sonoda, who will speak at the council’s pre-session review of Japan on Thursday, told the Guardian. An estimated 27,000 evacuees who, like Sonoda, were living outside the mandatory evacuation zone when the meltdown occurred, had their housing assistance withdrawn this March, forcing some to consider returning to their former homes despite concerns over radiation levels. In addition, as the government attempts to rebuild the Fukushima region by reopening decontaminated neighbourhoods that were once no-go areas, tens of thousands of evacuees who were ordered to leave will lose compensation payments and housing assistance in March next year. The denial of financial aid has left many evacuees facing a near-impossible choice: move back to homes they fear are unsafe, or face more financial hardship as they struggle to build lives elsewhere without state help. “People should be allowed to choose whether or not to go back to their old homes, and be given the financial means to make that choice,” said Kendra Ulrich, senior global energy campaigner for Greenpeace Japan. Sonoda’s son and a friend drinking from a mountain stream before the disaster. Evacuees are being encouraged to return to villages and towns near the Fukushima plant despite evidence that some still contain radiation “hot spots”. In Iitate village, where the evacuation order was lifted this March, much of the surrounding forests remain highly radioactive, although homes, schools and other public buildings have been declared safe as part of an unprecedented decontamination effort. After months of moving around, Sonoda and her family settled in Kyoto for two years, where local authorities provided them with a rent-free apartment. They have been living in her husband’s native England for the past four years. Sonoda and her family near her home in Fukushima before the disaster. The evacuations have forced families to live apart, while parents struggle to earn enough money to fund their new accommodation and keep up mortgage payments on their abandoned homes. Greenpeace Japan, which is assisting Sonoda, hopes her testimony will be the first step in building international pressure on Japan’s government to continue offering financial help to evacuees and to reconsider its resettlement plan. 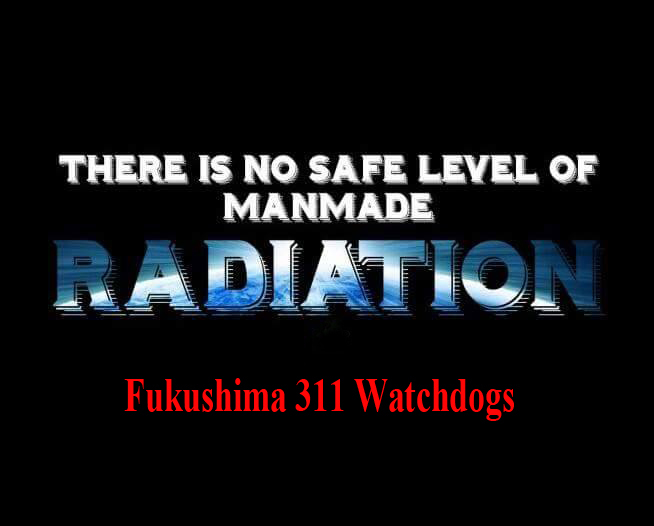 It has called on the government to declare Fukushima neighbourhoods unsafe until atmospheric radiation is brought to below one millisievert (mSv) a year, the maximum public exposure limit recommended by the International Commission on Radiological Protection. While 1 mSv a year remains the government’s long-term target, it is encouraging people to return to areas where radiation levels are below 20 mSv a year, an annual exposure limit that, internationally, applies to nuclear power plant workers. I used to live in Fukushima with my husband and our child, in a fantastic natural environment with a strong local community. That was until the earthquake and tsunami of March 11, 2011 destroyed coastal communities and killed tens of thousands of people. The day after it hit, there were constant aftershocks. It gave us another massive scare when the Fukushima Daiichi nuclear power plant exploded. We decided to evacuate to Western Japan to protect our child. The government raised the level of “acceptable” exposure to the same standard as nuclear workers – 20 times the international public standard. My son was not a nuclear worker, but a little boy, more vulnerable to the effects of radiation than adults. Like my family, many fled contaminated areas that were below the raised emergency level, but higher than acceptable. We have been labelled “self-evacuees”. We have never received compensation, outside some housing support. Some of the evacuee children have struggled to adjust to a different environment. They have continued to miss family, friends and old schools, and have been bullied by other children in their new residences. There were even rumours of “contagion”. Many children also really miss their fathers, who have often stayed in Fukushima for their jobs. Mothers have silently tackled these difficulties, including health problems in themselves and their children. We have sometimes been labelled neurotic, irrational and overprotective, our worries about radiation dismissed. Divisions and divorce have been common. All the while, we miss our relatives, friends, old community and the nature we used to live in. In March, the government lifted evacuation orders, and the housing support for self-evacuees stopped. Citizens were pressured to return to Fukushima. Research said radiation levels still exceeded the government’s long-term goals. Because evacuation orders have been lifted, Tokyo Electric Power Company will also stop compensation for victims by March 2018. We need this accommodation support to continue any kind of stable life. Before Fukushima, they said a major accident could not happen. Now they say radiation is not a problem. They say hardly any compensation is needed. Why should we have to return to live in a radioactive area? Nuclear victims don’t seem to have the right to be free from radiation. I’m travelling to Geneva this week to testify at a pre-session for the UN Human Rights Council’s review of Japan. Prime Minister Shinzo Abe’s resettlement policies are violating our human rights. If the Japanese government doesn’t support the nuclear survivors, what’s stopping other countries from doing the same in the future?